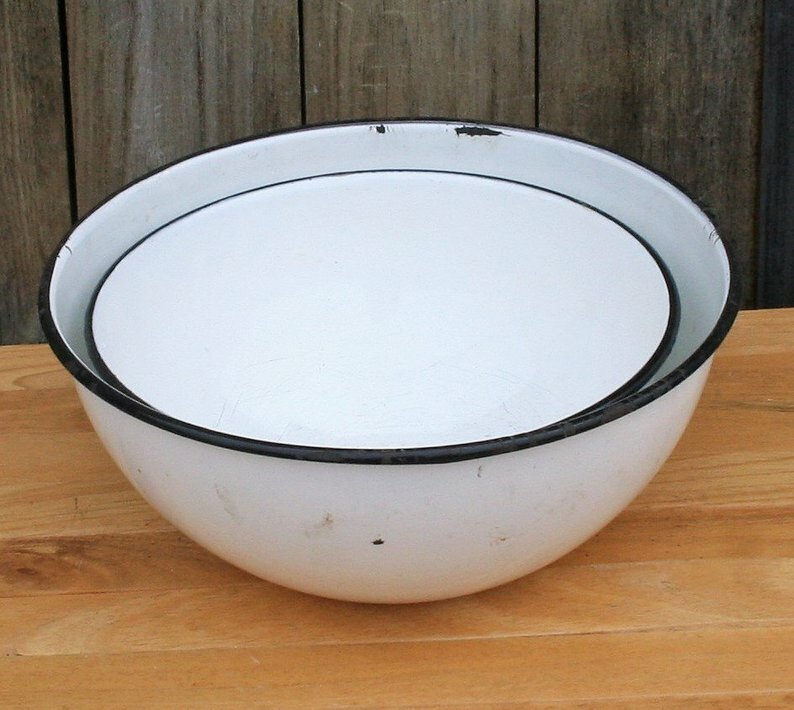 These simple, but elegant white enamelware mixing bowls would look lovely on an outdoor plant stand or tabletop. 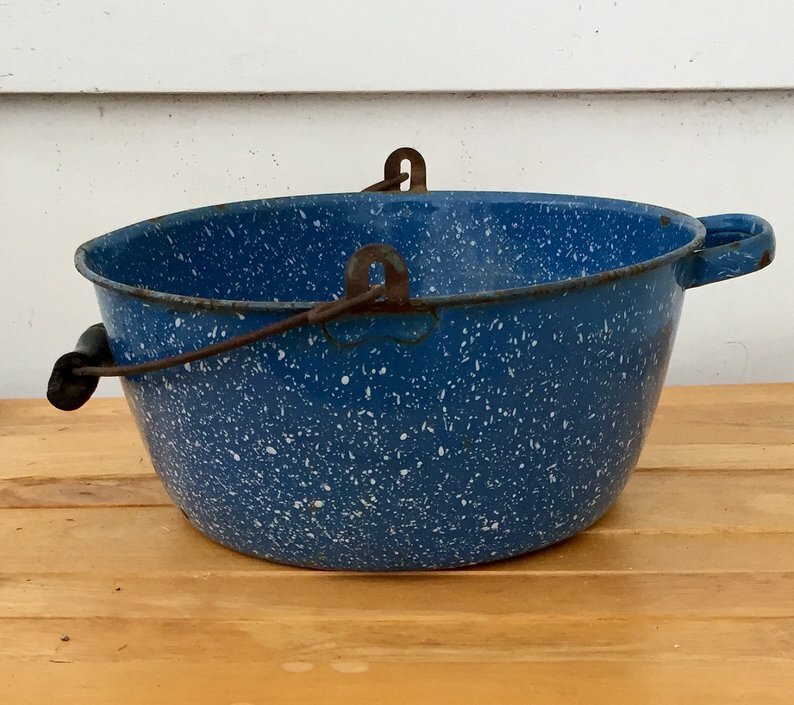 A blue speckle graniteware pot would make a pretty garden display while adding an additional pop of color to your garden. 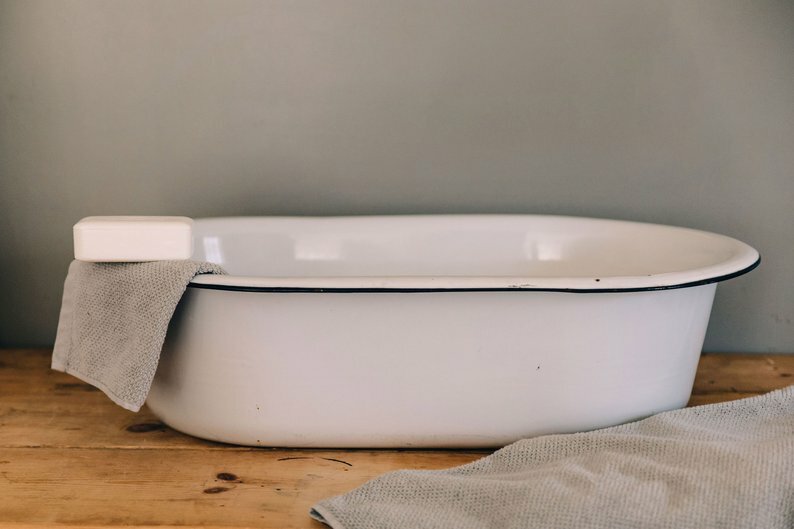 This gorgeous enamelware wash tub is made of heavy white enamel and has a thin black edge around the top. A vintage tub will add character and charm to your garden. 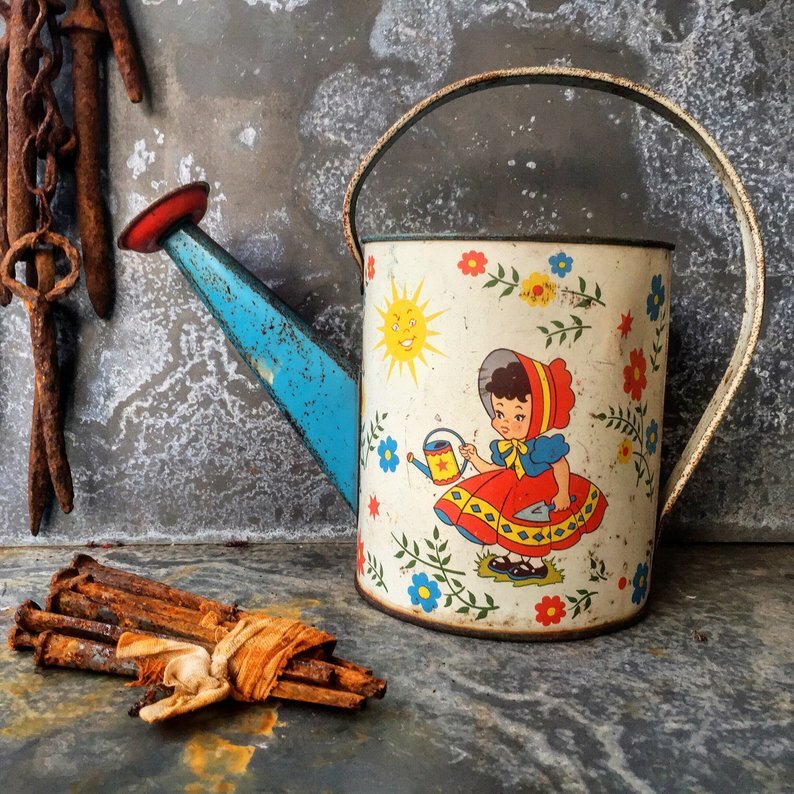 If you want a colorful and fun art piece in your garden or table display, toy watering cans might be just the right addition. This 1940s toy watering can was made by The Ohio Art Company in Bryan, Ohio. Galvanized sap buckets come in different sizes. You can hang them on hooks to keep stuff organized or to feature plants. You can place them on steps to entryways. Smaller sizes are perfect on tabletops. 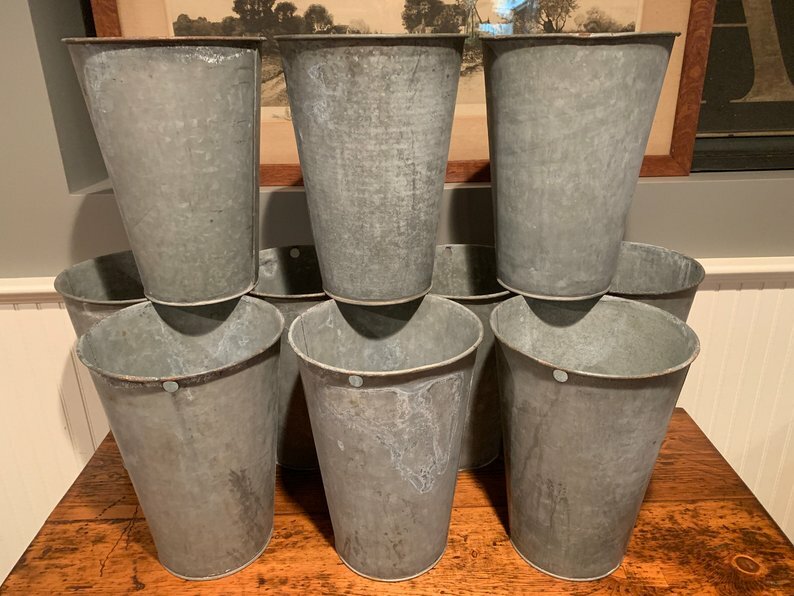 Many shiny “vintage style” galvanized buckets are available on the market. However, I personally love the worn look of vintage pieces. 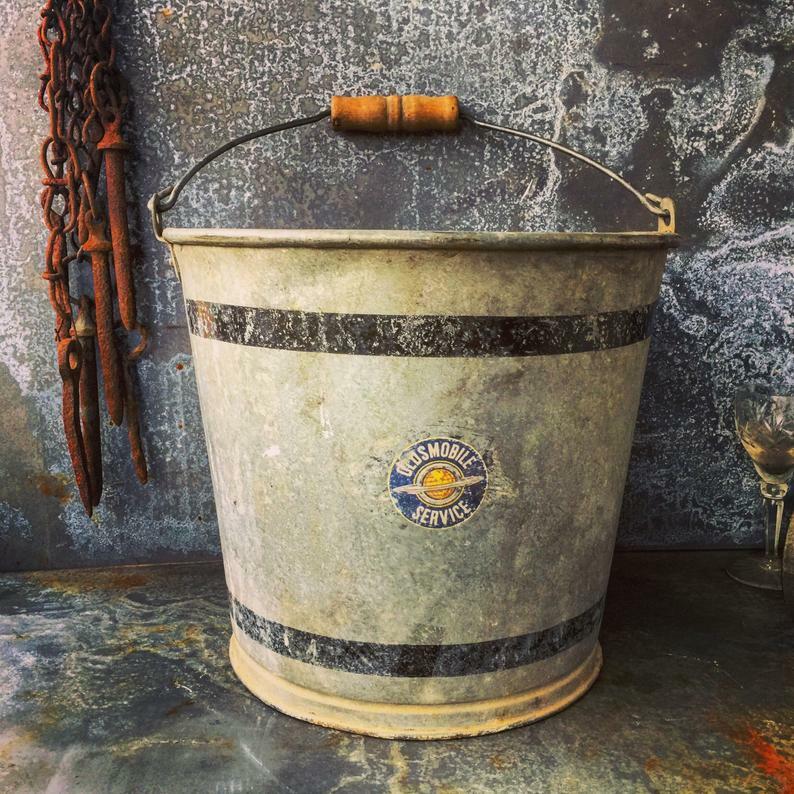 This 1950s galvanized bucket has an Oldsmobile logo. 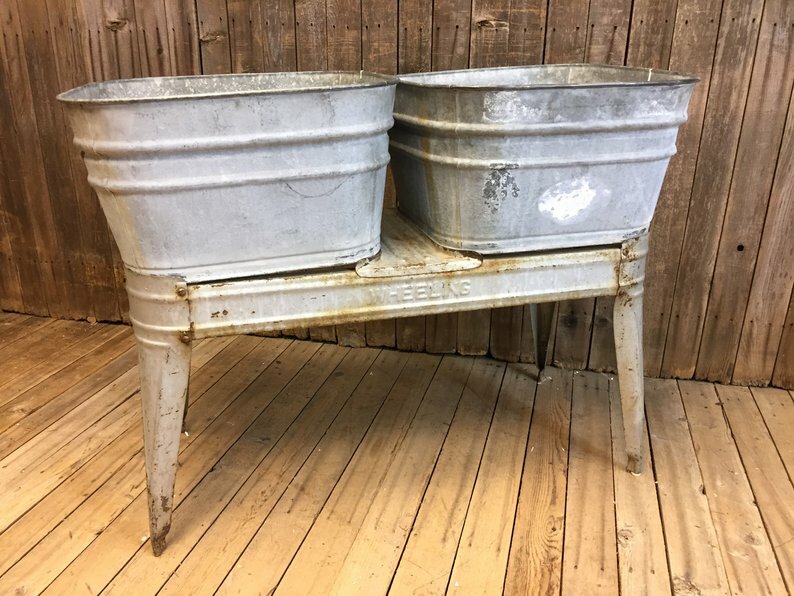 You can also use galvanized wash tubs as rustic planters. If you need an option with height, you can purchase one with a stand. 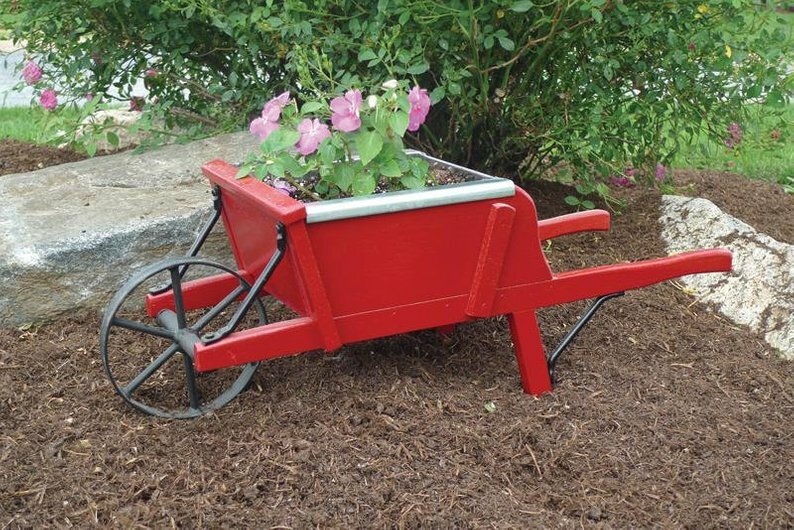 A cute painted wheelbarrow can add lots of color as well as make a display that you can change with each season or holiday. This wheelbarrow is handcrafted by an Amish woodworker. It comes with a galvanized steel liner so that you can add plants of your choice. 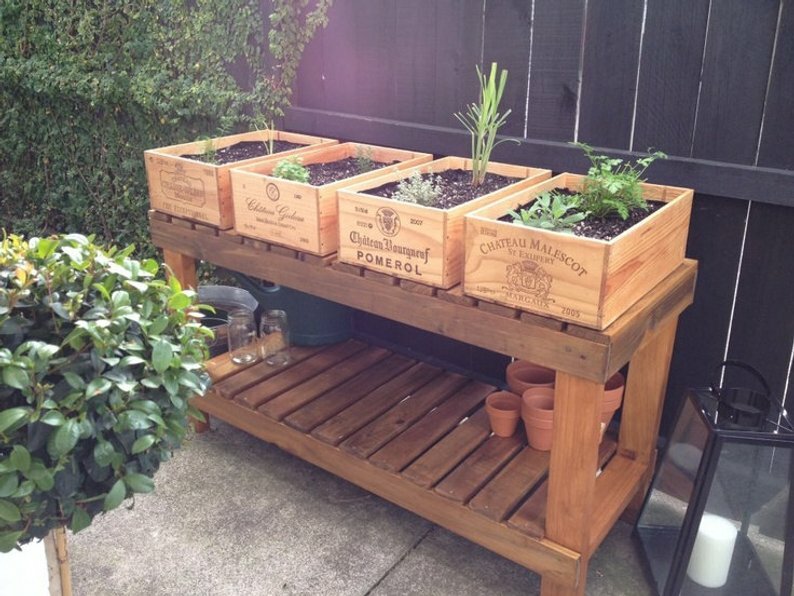 Make a group of wooden wine boxes into planters and place them on a workbench or on your patio. Add terracotta or plastic planters to vintage wire baskets. 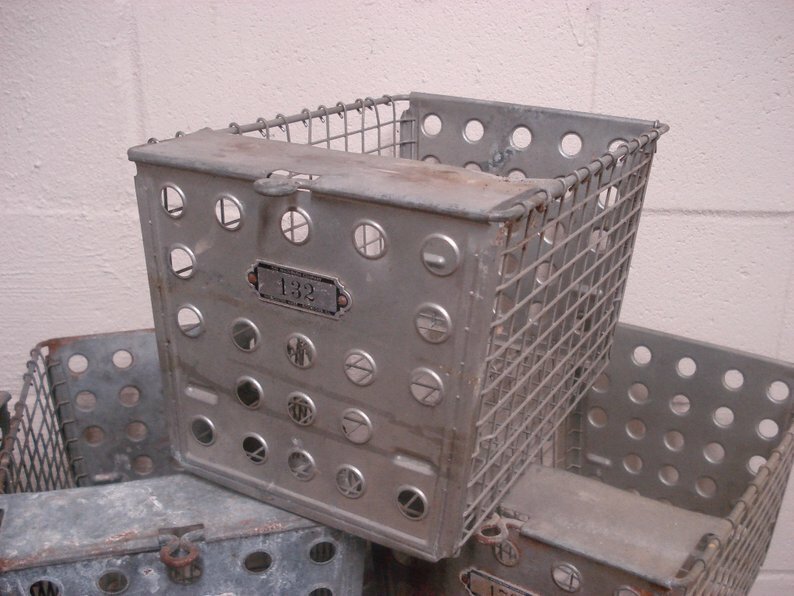 These metal bins are from old lockers. 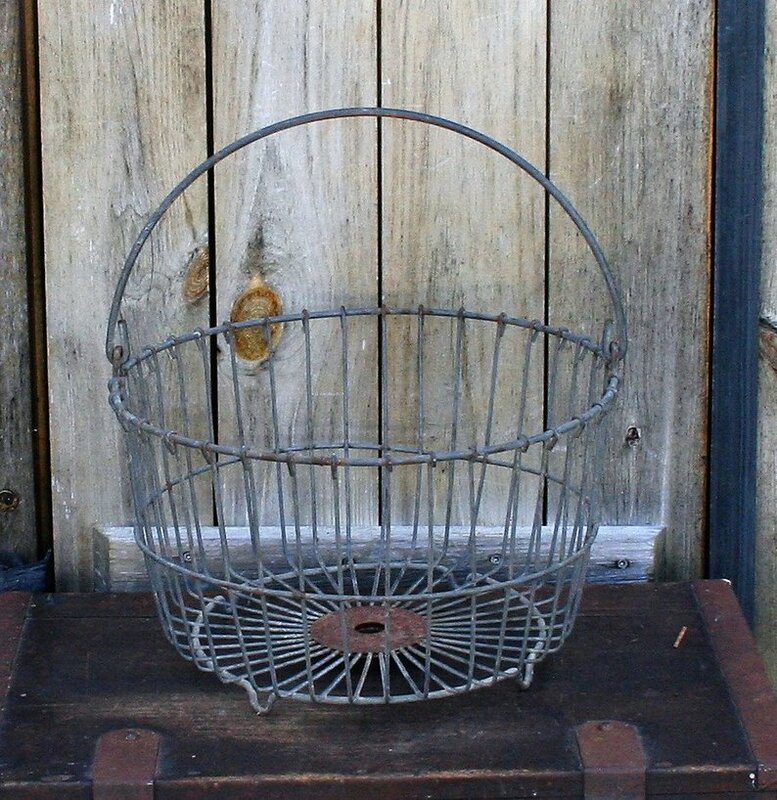 This vintage wire egg basket would make a beautiful container after adding a terracotta or plastic pot with flowers. Previous Post: « Let’s Go UVA!